DUN DUN DUN! Titan and Sole Movement join forces with Jason Markk to bring you a must have. 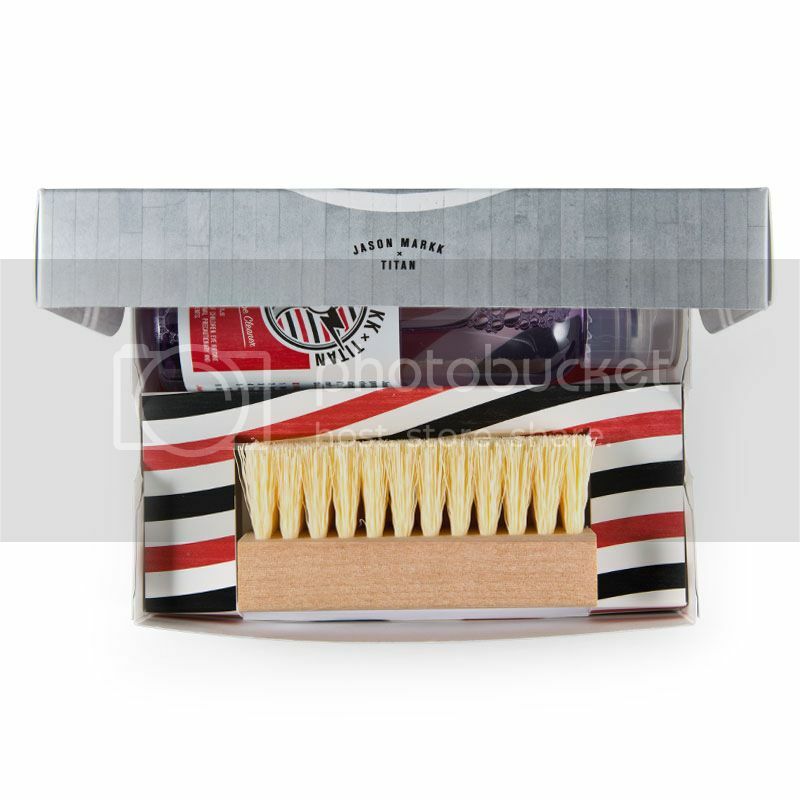 Whether you're a collector (peep the special box, label and brush) or simply want another bottle to clean your shoes, this kit is for you. 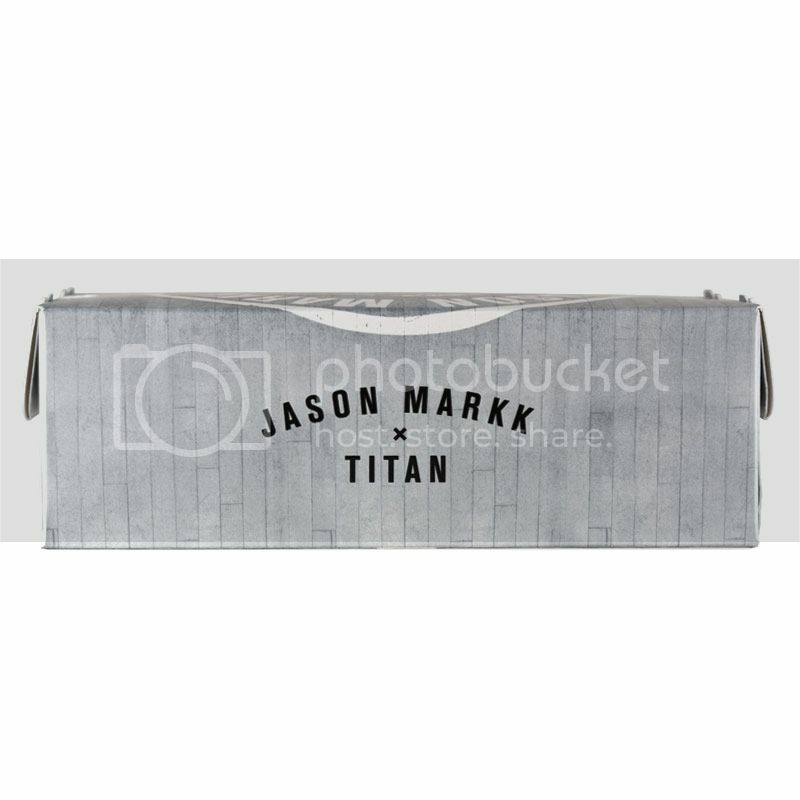 Don't forget to also cop the limited edition Jason Markk x Titan tee! 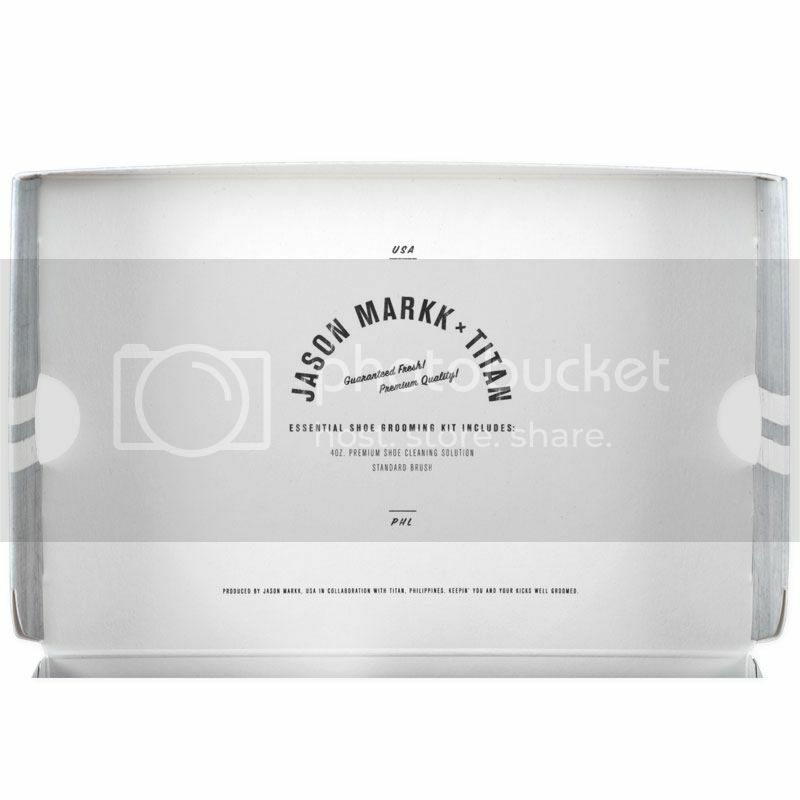 LOS ANGELES, CA (November 26, 2012) – Premium Shoe Cleaner manufacturer, Jason Markk, collaborates with Philippines-based retailer, Titan, to create a limited edition "Essential Shoe Grooming Kit". Contents of the kit include a bottle of 4 oz. Premium Shoe Cleaner and a handcrafted Standard Cleaning Brush with laser-etched logos on handle. 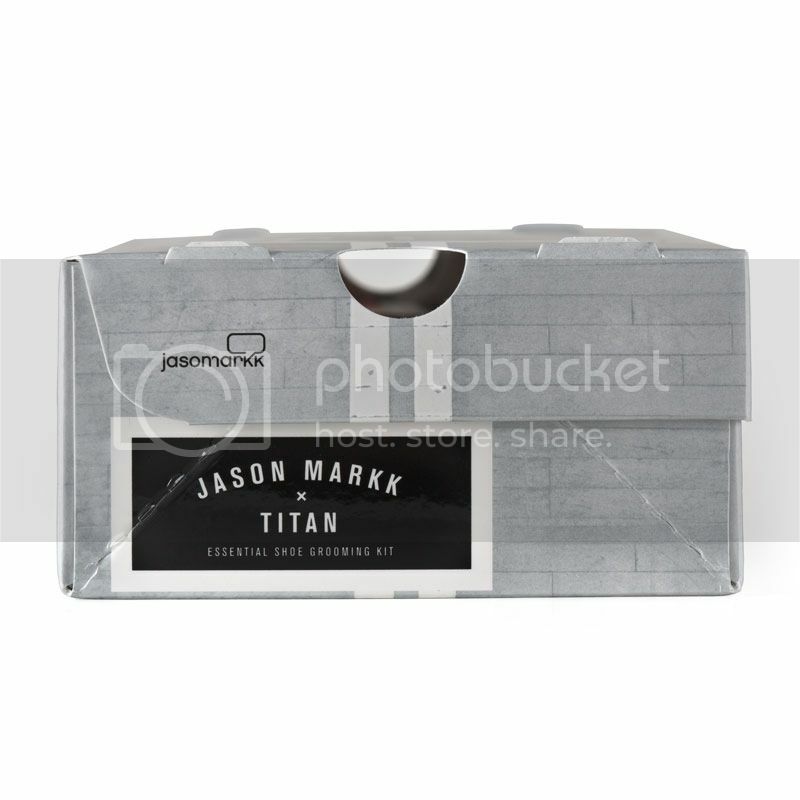 All intimately packaged in a signature Jason Markk mini sneaker box. All items are co-branded and are limited in quantities. The Jason Markk x Titan “Essential Shoe Grooming Kit” releases on Thursday, 11/29, at the newly opened Titan 2 Parkade location and will retail for PHP1,250.00 (USD $30)/ kit. A limited amount of kits will also be available in the Jason Markk online shop. The official release party hosted by Titan and Solemovement.com takes place on Thursday, 11/29, at Titan 2 Parkade, and begins at 6 pm. To coincide with the release of the kit, a commemorative limited edition t-shirt will be available exclusively at the event. Additional festivities include a Jason Markk pop-up shoe cleaning booth, music by Nix Damn P!, as well as a meet-and-greet with Jason Markk. Buy your Jason Markk kits ONLY from official retailers!